We are pleased to introduce Joe Banass as the newest full time member of our Development Team. Joe has been with Morse Data as an intern since last May. He completed his finals from DePaul University in November and has earned his Bachelor of Science in Computer Science from the College of Computing and Digital Media. Joe is one of many college interns who have decided to make Morse Data their home and we are excited to have him on board. 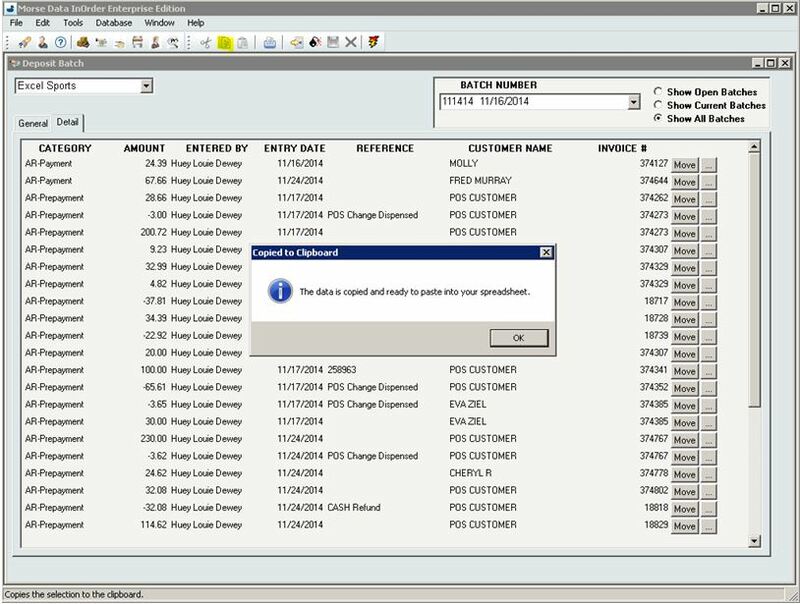 When entering Transfer transactions, InOrder users may have already noticed the new Transfer All From Bin button on the Transactions window. 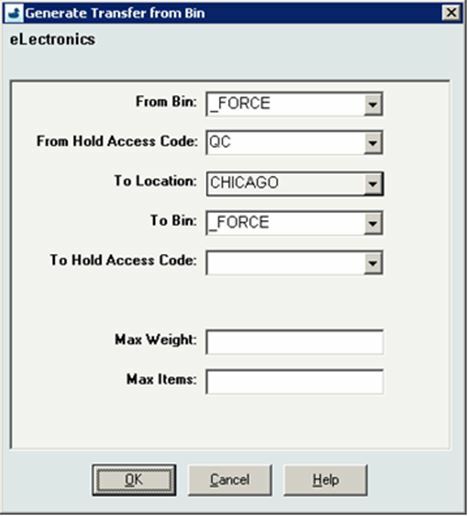 This new function generates an inventory transfer to move all contents from the specified bin to their final destination en masse (rather than individual bin moves) to facilitate guided putaway transactions. This function is useful for companies that participate in exhibits or use other temporary storage, manually moving stock from one place to another. Now you can update InOrder with the new information with the push of a button. If you take a trailer out on the road, use Reorder List and Local Reorder Points (as usual) to load the trailer. This loads from multiple bins in the main warehouse to the trailer. When you return to the warehouse and putaway your stock, use the Transfer All from Bin button to generate a transfer to move all stock from the trailer (single location / single bin) back into the warehouse. The Transfer All feature is also useful when you have many items in a bin designated as a “staging area” and you are ready to move them all to the destination. In this case, the staging area bin can be transferred to a remote storage location or exhibit/trailer. This eliminates the need for individual bin moves and allows transfers across locations from one warehouse to another. 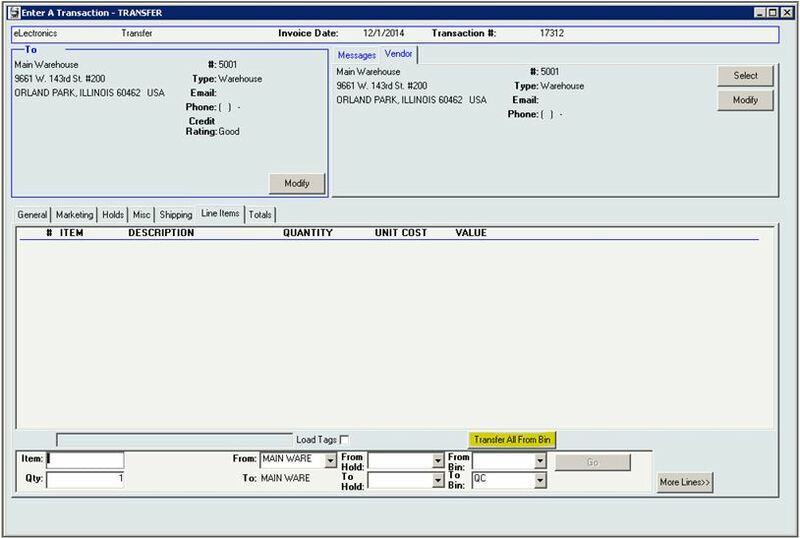 You can also print your transaction and use it as a work order. Previously, when stock was transferred, InOrder identified the From-Bins. Now, you can also select the bin from where you want to transfer your stock, which is also very useful. How much time will this new feature save you? 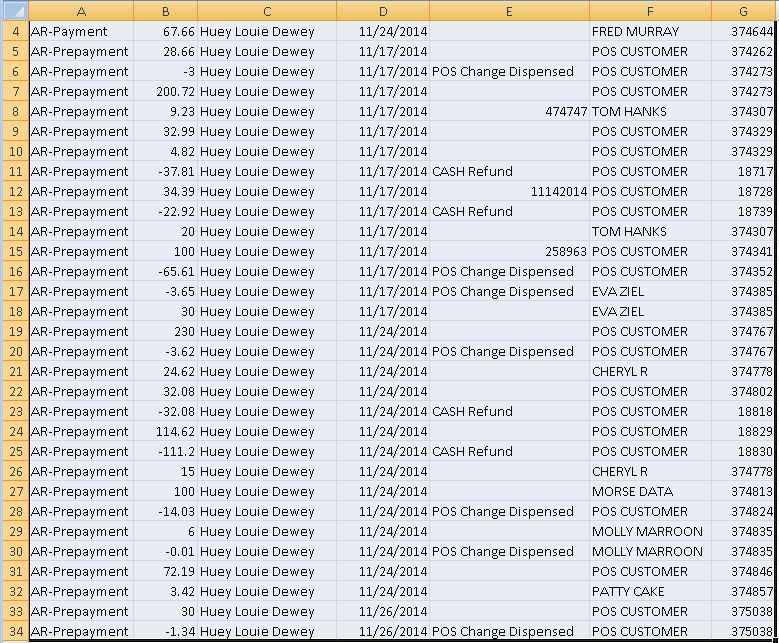 Do you need to quickly get deposit batch details to a spreadsheet? To copy the details, use the copy shortcut (Ctrl+C) or click the copy button on the InOrder toolbar. A recent study made available by RetailMeNot.com explains the significant influence of promotions on purchasing decisions, sales, and loyalty. The study revealed that coupons, promotion codes, sales, and special offers were used by 49% of online purchases and 56% of in-store purchases. Promotions have a big enough influence that consumers will use them to plan what they buy, where they will buy it, and when. They will personally seek out promotions from websites, mobile apps, printed coupons, emails you send them, and they will follow you on social media to get them. According to the study, 60% of one group of consumers surveyed said promotional offers were the reason they “like” retailers on Facebook. The majority of consumers (91% of shoppers who used in-store promotions and 89% of shoppers who used online promotions) said that promotions were the reason they made their purchases. As shown by the study, promotions can increase the number of new customers and significantly increase the average order amount. Interestingly, the study also reports that 39% of consumers abandon online shopping carts, 78% of them look for a promotion first, 68% of them used a promotion to return to the cart, and 24% have completed their purchases with a promotion. This presents yet another opportunity to encourage customers to complete their orders or add items to their carts. 68% of one group of consumers expressed loyalty to a brand offering online coupons or promotion codes and a willingness to tell a friend about them, and 50% even said they would be likely to buy at full price later. This all ties in with what we previously said about promotions and how you can use them to generate income with your ERP system. And InOrder supports them all – Promotions, Email Marketing with Abandoned Cart Notifications, and even Loyalty Programs to say thank you. 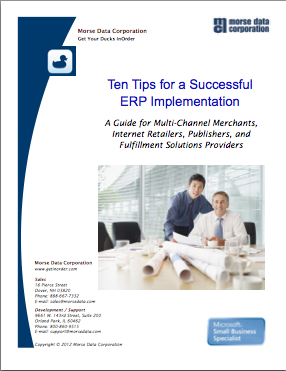 Are You Realizing the Full Potential of your ERP Software System? Your company purchased the software, training and setup work was completed, and then it was turned on. A few years have gone by. Now some of the employees and even a few managers have come and gone. Few people in your department remember anything from the training, but you know the basics to get your day to day work done. The software has a few buttons that you’ve never used. A few are grayed out, and the desk you inherited might even have sticky notes that you don’t understand, like “NEVER PUSH F12!” or “F6Tab F8Total”. When you connect to the software, it says Copyright © 2009. You realize that was five years ago. OK, maybe it’s not that bad. Let’s say your company does upgrade to the latest version at least once a year. But the process goes like this: The latest version is installed to a Test Environment, where each department assigns someone to follow a testing script that confirms each process can still be performed successfully. Once everyone signs off on this new version, it is installed into the Production Environment. At this point everyone notices some new buttons, but nobody really knows what they do, and so everyone agrees not to press them. If any of these things have happened to you, then it’s time for an Annual Software Implementation Audit! The Annual Implementation Audit lasts two to three days. During this time, an Implementation Specialist from the software company visits your office to meet with representatives from each department of your organization, to review your processes that relate to how you use the software system. At this time, employees and especially any managers who have joined the organization can attend some refresher training sessions. This is also a good time to discuss any wish list items, annoyances such as low priority bugs that have never been reported, and especially burning questions about those new buttons that you were told to never press, but you are suspect could solve some problems! So often, we hear “Why didn’t anyone tell us the system could do this?” Implementation Audits commonly reveal shortcuts that were not being used, but also often find processes being done manually that can be automated, and functions, features, or optional modules that are not being used at all because nobody knew they existed. Instead, these functions are being performed manually, day in and day out, when your software could be doing them for you. When was your last Annual Implementation Audit? Maybe it is time?